Chessington Juniors enjoyed great sucess at the Eastbourne tournament at the end of August. They came back with lots of medals. Well done to everyone. The club is very proud of the high standards achieved by all our juniors. 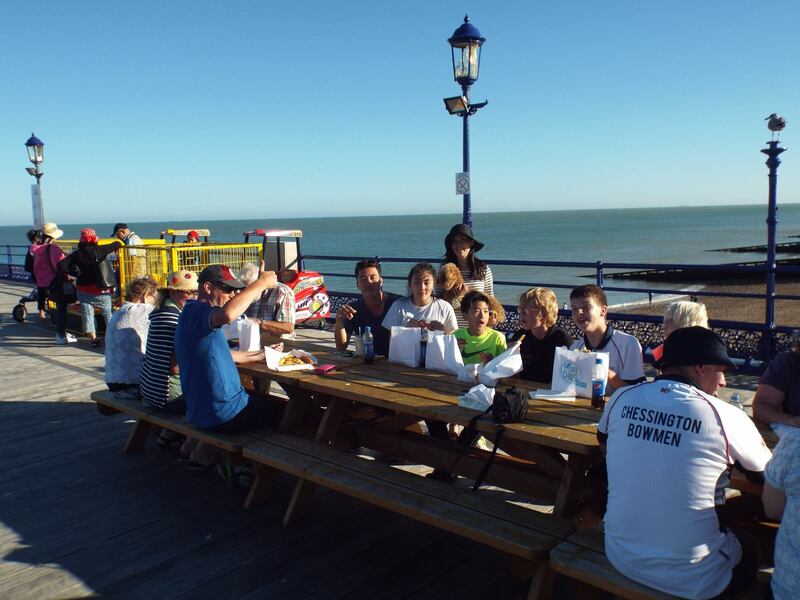 It is believed that a fish and chip supper was enjoyed by all on the seafront after the end of the shoot.